When it’s time to have your chimney cleaned and inspected, it is time to call the team at Jiminy Chimney Masonry and Repair. Whenever you call a professional to service anything inside your home, it’s very important to check out their credentials. When it comes to finding the perfect chimney sweep company, this is just as important. We are so proud of our team of Chimney Safety Institute of America (CSIA) certified chimney sweeps. We are also proud members of the Better Business Bureau. At Jiminy Chimney Masonry and Repair. we want our customers to know that we take our job very seriously, and we know them to ensure they know they are getting the best team for their fireplace and chimney. 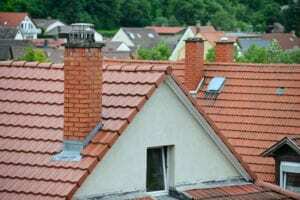 There are three levels of chimney inspections. Depends on how well you maintain your chimney or whether there have been major events that have caused changes to the structure of your chimney, it will indicate which level of chimney inspection your chimney needs. A level one chimney inspection is what your chimney needs, if your chimney is well maintained and if there hasn’t been a catastrophic event that have damaged it. We’ll just look at the readily accessible parts of your chimney to make sure that there hasn’t been any damage and that your chimney is running properly. During a level two inspection, we’ll look into your chimney even further. If you’re selling your home or if there’s been changes due to a chimney fire or destructive weather event, then a level two chimney inspection is what your chimney will need. We’ll go in with a video scan, and that will allow us to see what’s going on in the interior of your chimney. We have special video equipment, which allows us to see the condition of the mortar between the bricks of your chimney and see if there’s been interior damage. At Jiminy Chimney Masonry and Repair, we take pride in knowing that our equipment is high quality and that our employees are highly trained. A level three inspection is the most in depth chimney inspection. This is only done when there’s been some real damage to your chimney and rebuilds or repairs. If you need this level of inspection, we’re the ones to call. If you’re looking to have a more in-depth chimney inspection, give us a call and schedule your appointment for a chimney scan. We’ll uncover any damage, then we will get started on any necessary repairs. We look forward to making sure you have the best service in the Chicagoland area!